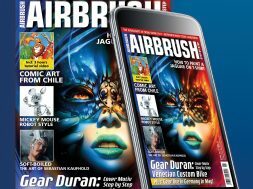 This is how you’ll never miss a thing again: Read your Airbrush Step by Step magazine now as printed copy AND digitally on your mobile phone or tablet. For only 4 Euro extra per year you get access to the digital versions of your printed magazine copies on your smartphone or tablet. 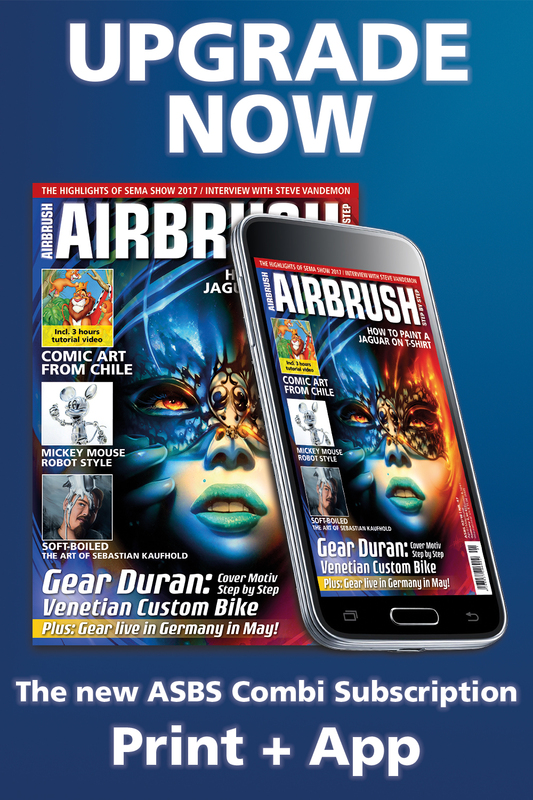 Current subscribers of the printed version can just upgrade their subscription to the new ASBS Combi subscription print + app. Visit our upgrade page and enter your customer number, name and e-mail address. Our starter bonus: You can even use the app for free until the end of your current subscription period. New subscribers can order the new combi subscription at our online store. Go to the product for new subscribers in the online store.